There has been quite a number of developments in the last two years that need to be covered. On 7 February, 2016,North Lorea successfully launched for a second time a Unha-3/Taepodong 2 missile. Ostensively to carry into orbit the second successful N Korean Satellite, it shocked the World given that only one month earlier N. Korea had tested a nuclear device of almost 10 Kilotons. On July 4th, 2017 North Korea then launched a totally new ICBM, the Hwasong 14; a road mobile missile which had the range to reach Alaska. At the end of the same month they again launched that missile, but this time the altitude and speed of the missile indicated it had the range to reach the middle of the United States. This is a major development and leaves little to the imagination as to what North Korea is working towards. Taepodong 2: Its Not an ICBM, So Then what Is? Marcus Schiller, the founder of ST-Analytics is quoted as saying the following: "A real ICBM is a weapon system that has to hit a given target on the other side of the world, being launched at any condition with the push of a button almost instantly," If this wasn't so serious a situation this statement would be laughable. Why would I say this; because this description would never be applicable to the Titan 1, the Atlas ICBMs D-E&F, and to the first Soviet ICBMs. It is in fact only applicable for a weapon system intended as a response to an enemies attack since a weapon designed for a first strike can take a hour or more to be readied and still be effective since it starts the war. According to Professor Postol the Taepodong-2 missile is too small and would have to be 50% larger to be a significant ICBM. I would love to under stand where he gets this idea or his other quoted number that the vehicle would have to be 120 tons in weight. It seems to Professor Postol mass is the more important factor then thrust to weight ratio, as I was taught in aerospace engineering. Its also highly suspicious to me that his vehicle weight required just happens to be the weight of the Atlas ICBM of fifty years ago; A vehicle which would have a difficult time meeting Mr. Schillers definition of an ICBM. These points being made, was the Taepodong 2 an ICBM, a Satellite launch vehicle as others propose, or something else entirely. The answer today, based on the sudden appearance of the Hwasong 12 and 14, is it was a test vehicle used to perfect certain technologies while masquerading as a satellite launch vehicle. In this, history has other examples: Such as the Atlas ICBM seen on the right, which began as an ICBM program but finished its career as a satellite launch vehicle. First, what could have been learned from the Taepodong 2/ Uha-3 vehicle. For one, achieving effective staging is one issue that first dogged the Taepodong and then was solved by the final (most recent) flight. Another issue is obviously guidance, though its purely speculative as to how effective the guidance system is. Finally, Taepodong may have been the biggest diversion in modern history. Virtually everyone was monitoring this missile and the Hwasong-10 IRBM which was based on an old Russian design known as the R-27. Now lets discuss the Hwasong-14, which has completely shattered anyones belief that North Korea isn't working on an ICBM. The top right image is of the casing for a W-53 warhead. Earlier on this page I showed the warhead on top of the Titan II missile. This is what was inside the warhead, a 9 megaton thermonuclear warhead. 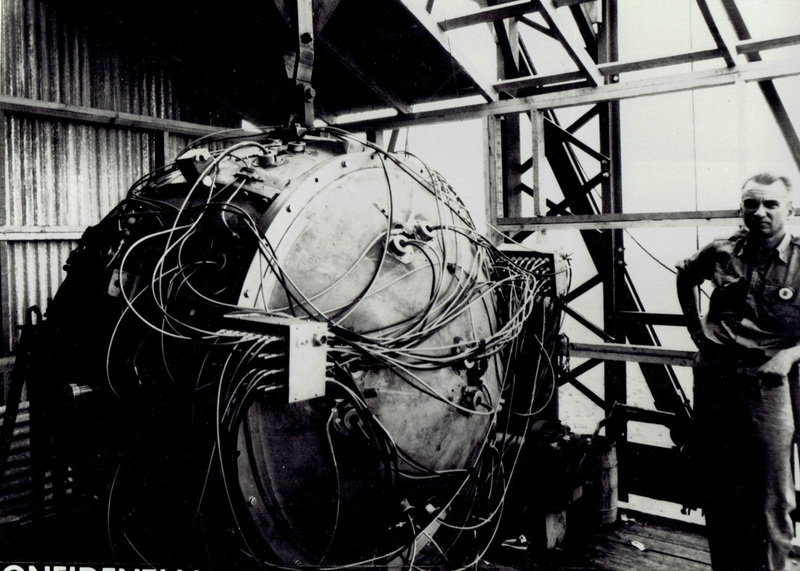 Directly below it is an image of the Gadget, the first US nuclear device that was tested in 1945. The reason I show this is that the warhead of the Titan II was 8,800 lbs in its free-fall bomb configuration. Gadget, which only produced a yield of 20 kilotons weighed 10,800 lbs as the Fatman bomb. The point, other then over time bombs got lighter, the Gadget got all of its power from the fission of less then 13 lbs of plutonium. The W-53 was a hydrogen bomb that achieved 90% of its power by nuclear fusion. Within it was a small atomic bomb of a yield of less then 0.5 kilotons. The energy and heat produced by this small bomb set-off the lithium fuel elements, releasing hydrogen which then fused into helium, releasing even more energy. In January 2016 North Korea stated they detonated a hydrogen bomb. To a lot of people this was a joke, but to nuclear experts the concern is that the test was of the core atomic bomb. It would explain the otherwise low yields the previous North Korean nuclear tests have produced. The test was estimated at producing a yield of 10 kilotons, which people say is low if it was a hydrogen boosted fission core. But that is based on the belief that the bomb was to produce a minimum yield of 20 kilotons. There is such a tendency of people to tack the Fatman bombs yield to every fission bomb without regard to the fact that this yield was based on the efficiency of the Fatman and the amount of fissile material within that bomb. Before 2016 was over, North Korea detonated a second bomb on September 9th. 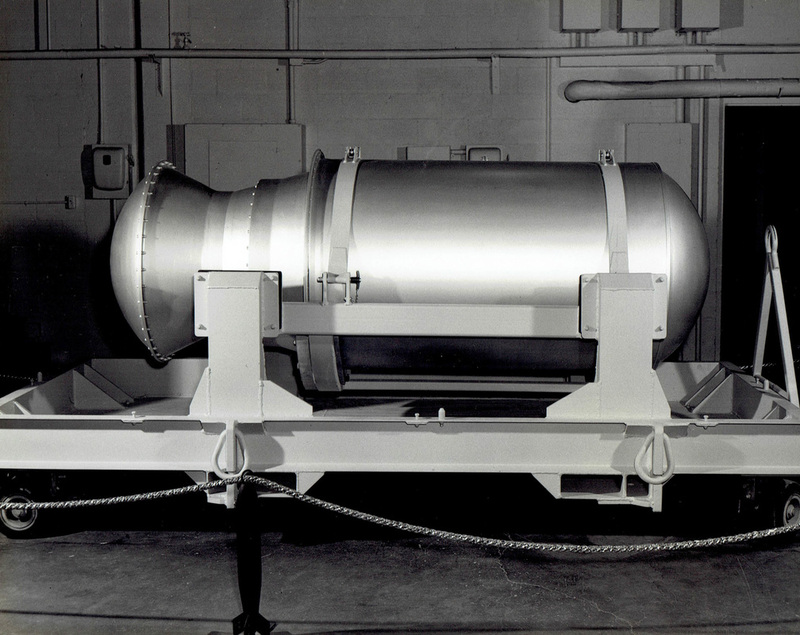 This device produced a yield of 20 Kilotons, making it more powerful than the Little Boy bomb dropped on Hiroshima and possibly larger than the Fatman bomb dropped on Nagasaki. This only showed that their ability to both make and successfully detonate nuclear weapons had improved since the first nuclear test in 2006. But the test that is the most important then occurred on September 3rd, 2017. The earthquake generated was 6.1, well above the 5.1 of the previous tests. Estimated yield was over 100 kilotons, well within the zone for a hydrogen weapon. North Korea now has a bomb of significant yield to make a crude ICBM an effective weapon.